The focus of Children’s Ministries is to connect children to a life-long, loving relationship with Jesus and His Church through discipleship, worship, community, service, stewardship and outreach. The Victorian Children’s Ministry Department aims to train, resource and empower parents and church leaders to disciple their children for Jesus. Child safety is one of our core values. We aim to ensure the physcial and emotional safety of every child in any of our programmes. As an Adventist church, we are committed to loving our kids and helping them to have a meaningful experience at church. We want children to feel a part of the church family where they attend – so much so that it is here that they turn to, rather than a secular world that will not fulfil a God shaped need. So how can we do this in a practical way? What does involving kids in worship actually look like? Many churches are great at featuring the children’s divisions on 13th Sabbath. They may sing a song or perform another item. This is great but it is just a start. Meaningful involvement is about understanding that children all have unique gifts and abilities and allowing them to use those to serve. It’s recognising that children are real people with real desires to be a part of something bigger than themselves. Imagine if you were asked to do something that was way out of your comfort zone? For me it would be singing – it’s not a pretty picture (or sound). And then you were told that this was the only way that you could serve at church. Would you do it? Would you stay? Or would you go elsewhere to find a place that understood you and your unique abilities. It’s the same for kids. There are some kids who love to sing up the front. There are others who cringe at the thought and would prefer to be anywhere else. But these kids might be amazing at praying. They might be switched on when it comes to sound. They might like to be up the front or they might like to be in the background. What’s amazing is going to a church where children are being mentored in areas that they aspire to be involved in. You can clearly see they belong. They feel part of a bigger picture. They are contributing in a meaningful way. But what if kids were only expected to be seen and not heard t church?. They could easily be thinking that church is not a place for them and they don’t belong there.. I wonder how long these kids are going to hang around? So let’s look at some practical ways that kids can be involved. Include them in your worship committee. Kids have amazing, creative and new ideas. They may not always be possible to achieve, but they will feel heard by being part of a team that allows them to help direct the worship service. Have a scripture reading that allows all the church to be involved, including kids. Highlight a scripture reading in different colours, project it and nominate different groups to read different parts. Have kids say the prayer, or if they don’t feel comfortable to do this, write down a prayer for an adult to read. Have some creative kids draw artwork to be used as the cover of the bulletin. Our children can be involved in church services just like adults are. It’s about encouraging them to find a place where they would like to serve, and then making it happen. I look forward to all Adventist churches here in Victoria being a place where our kids feel like they can make a meaningful contribution. Sermon notes are a great way to help kids stay focused on the key points of the sermon and record what it means to them. 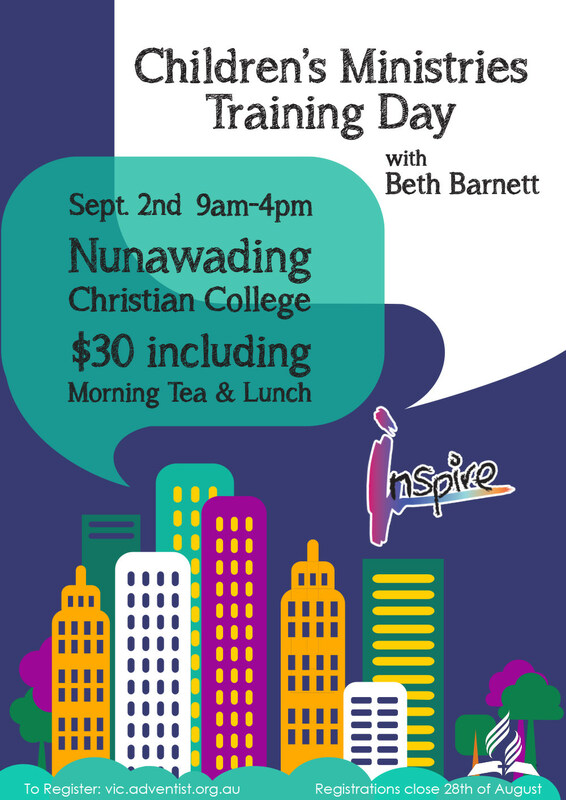 To run a Faith Shaper workshop at your Church, please contact Julie Catton on 0411 622 294 or 03 9264 7777.